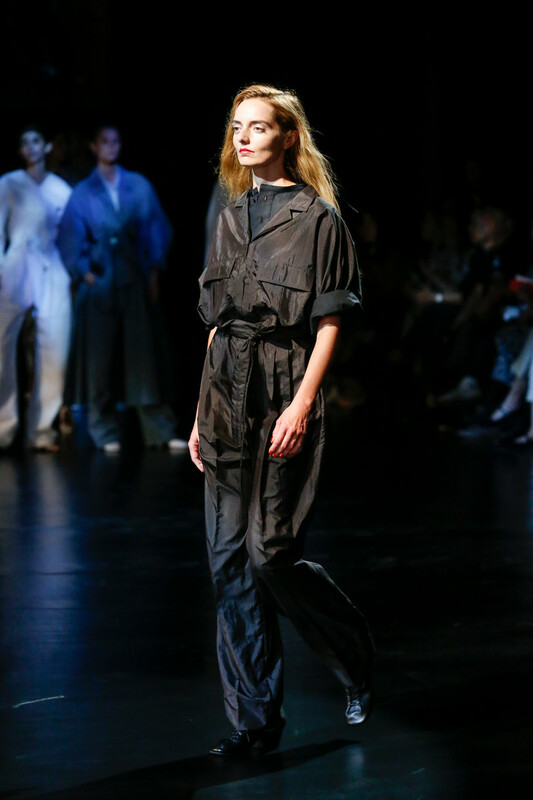 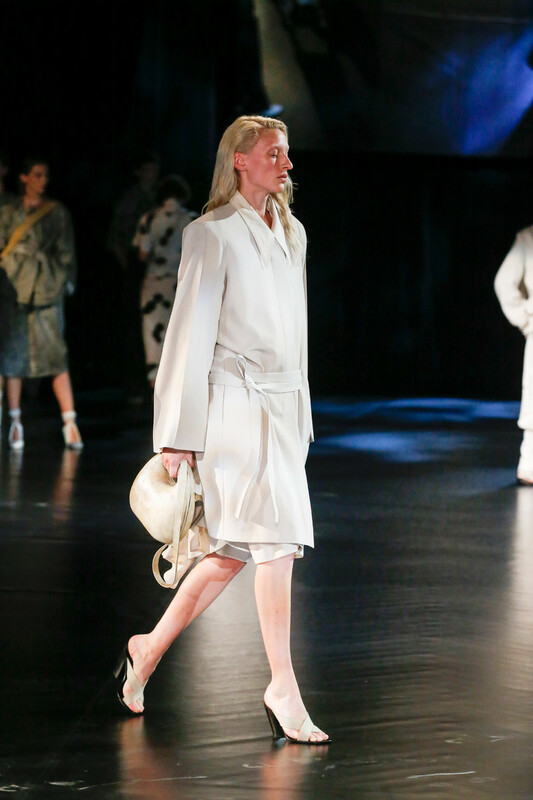 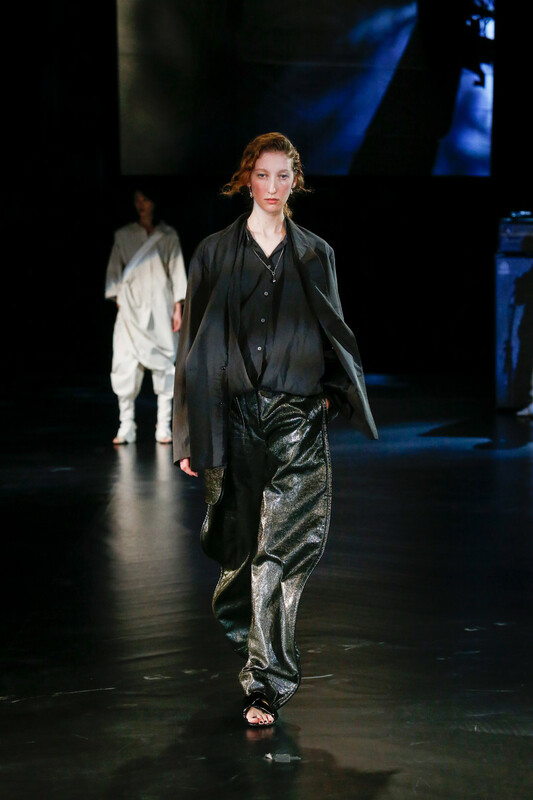 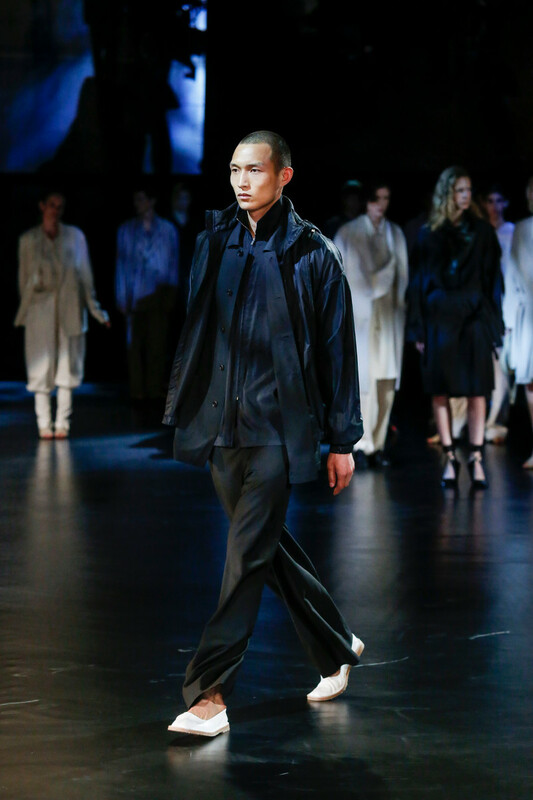 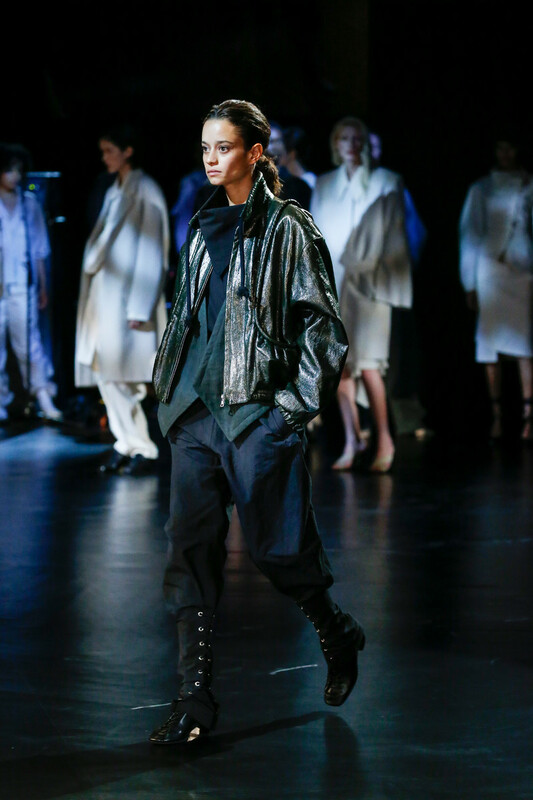 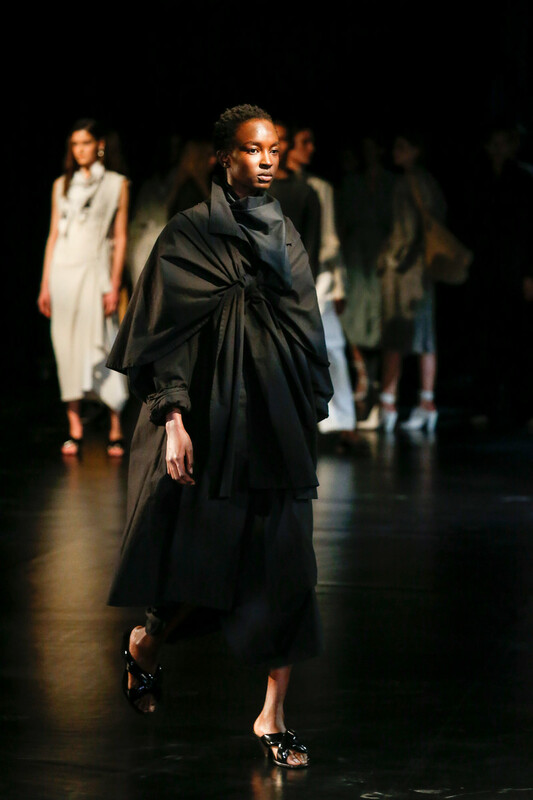 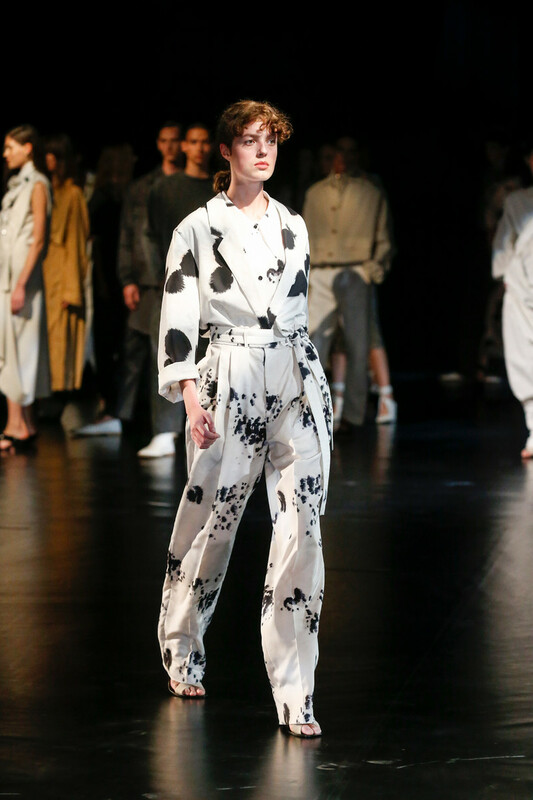 The guys and girls on Lemaire’s runway looked confident and fresh in the designer’s monochrome looks. 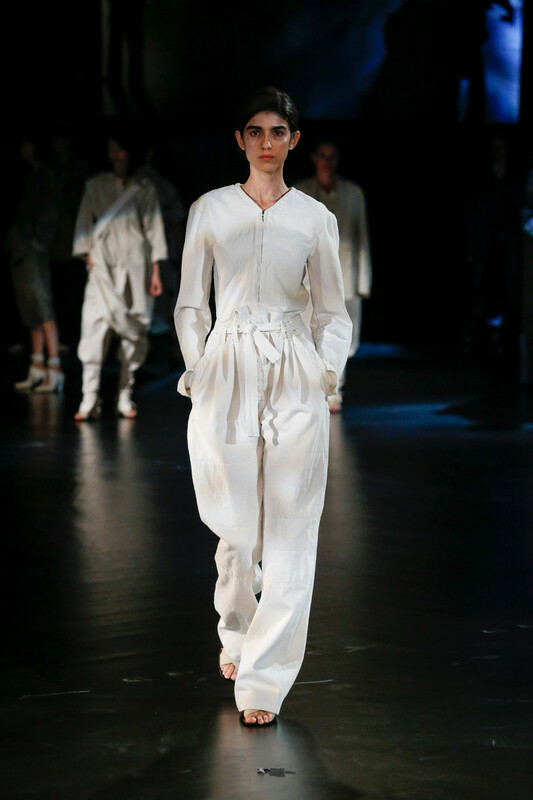 Everyday pieces with just the right edge and chicness. 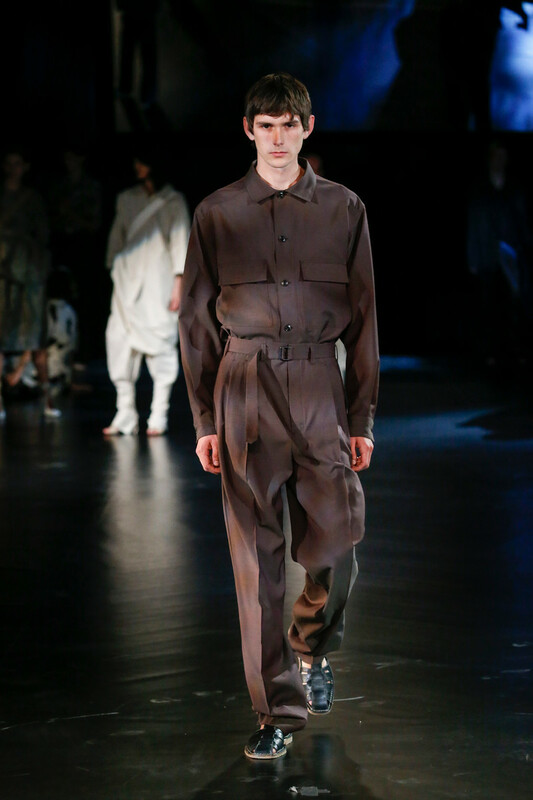 Like a chocolate brown colored pants and a shirt (menswear). 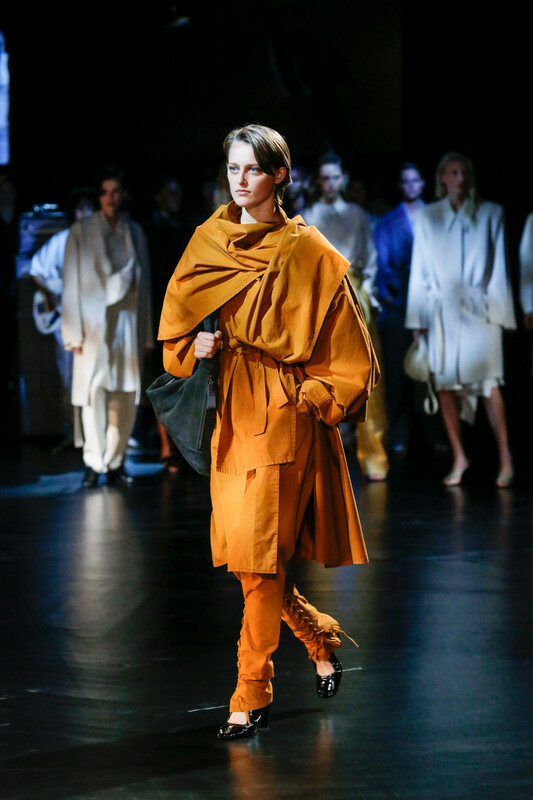 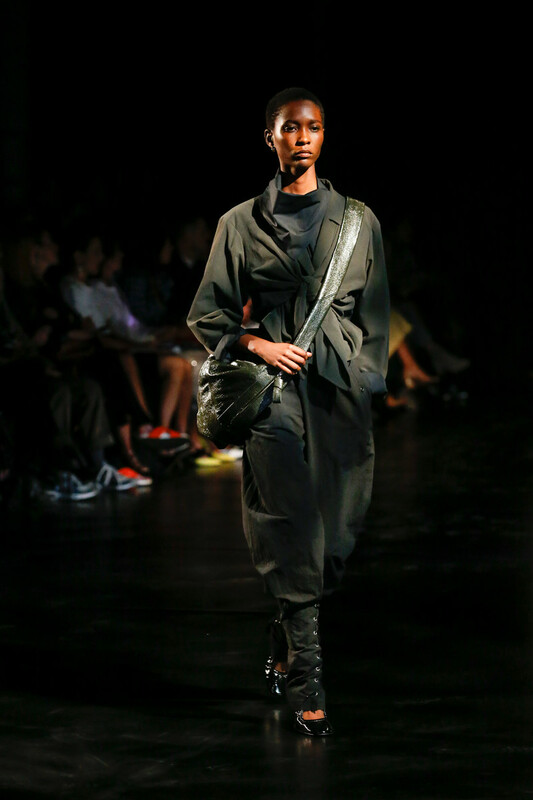 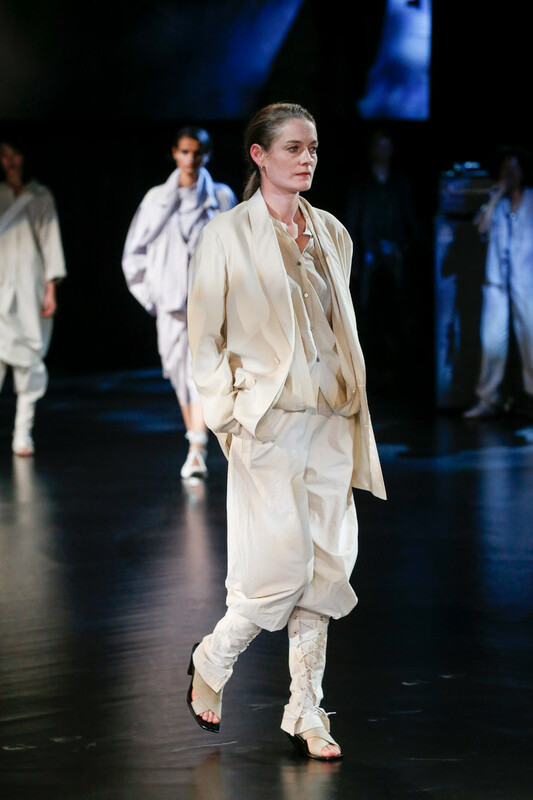 Or the sand colored pants, shirts and coat, worn with a fanny pack and black leather boots (womenswear). 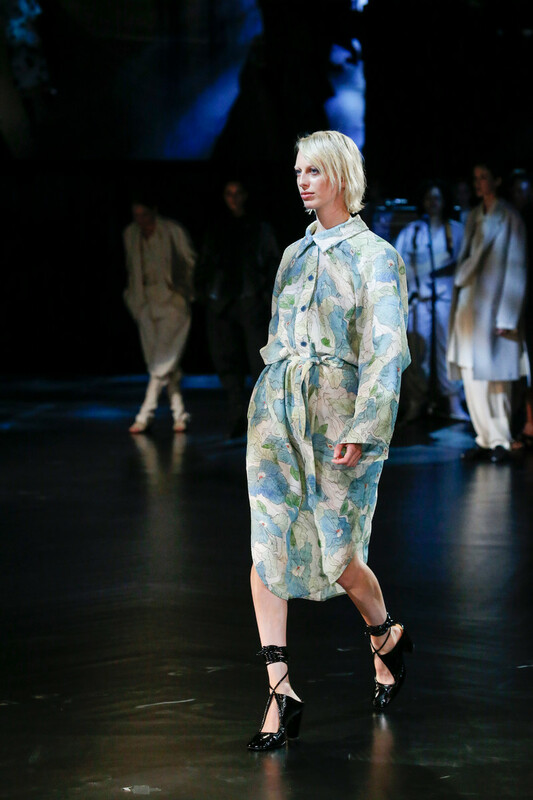 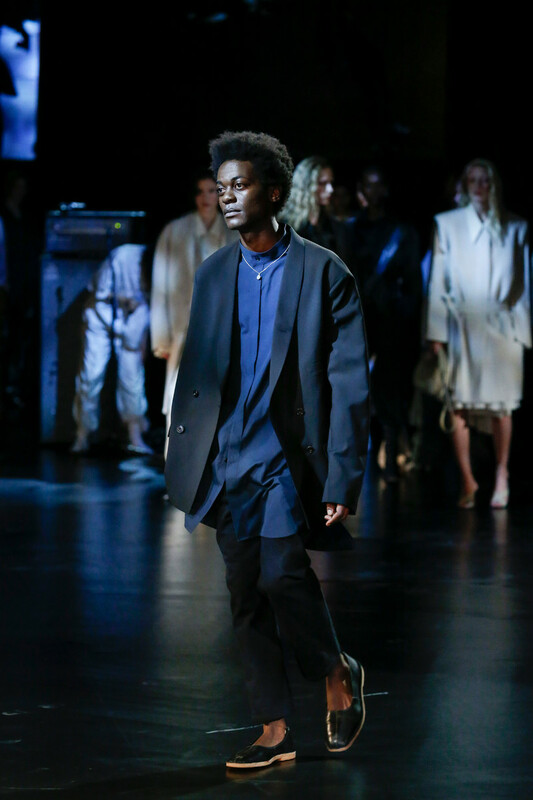 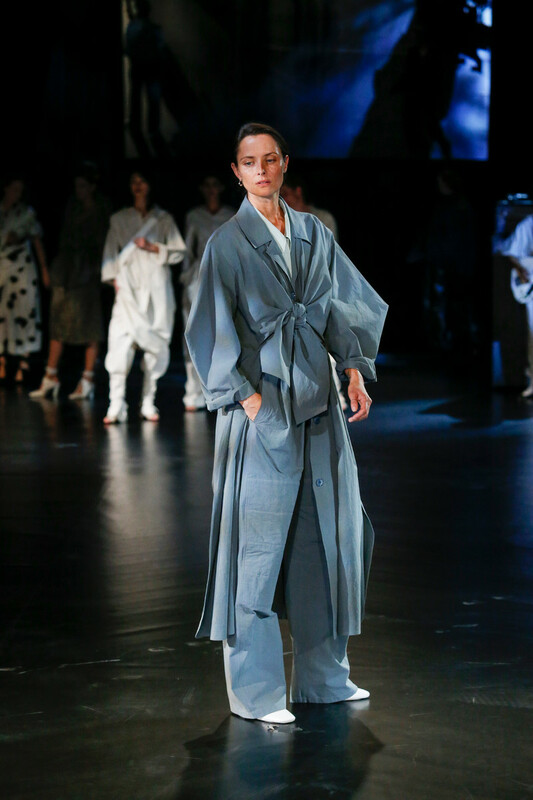 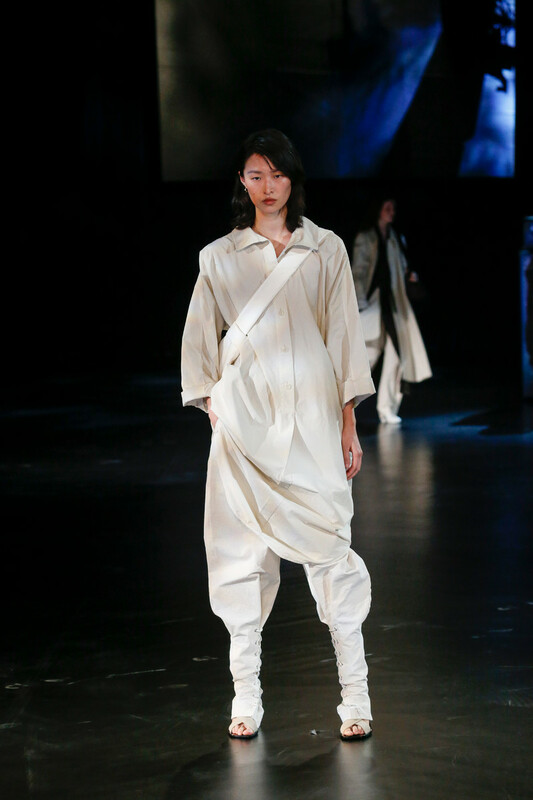 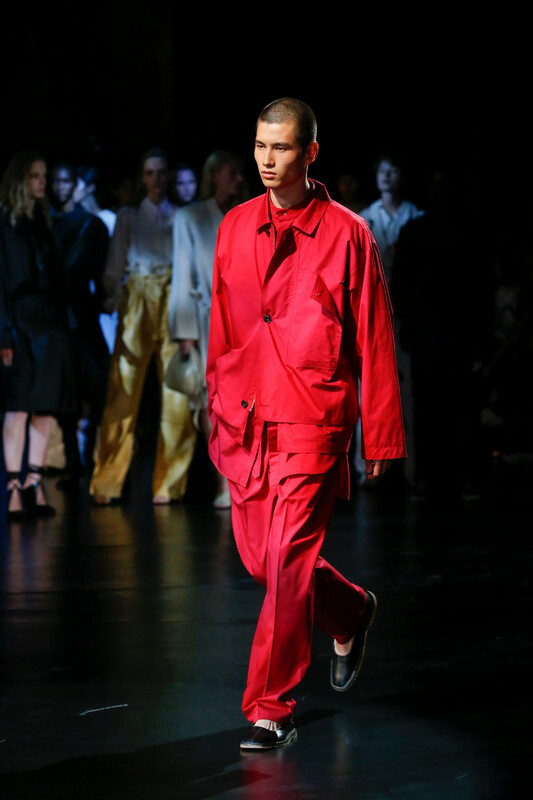 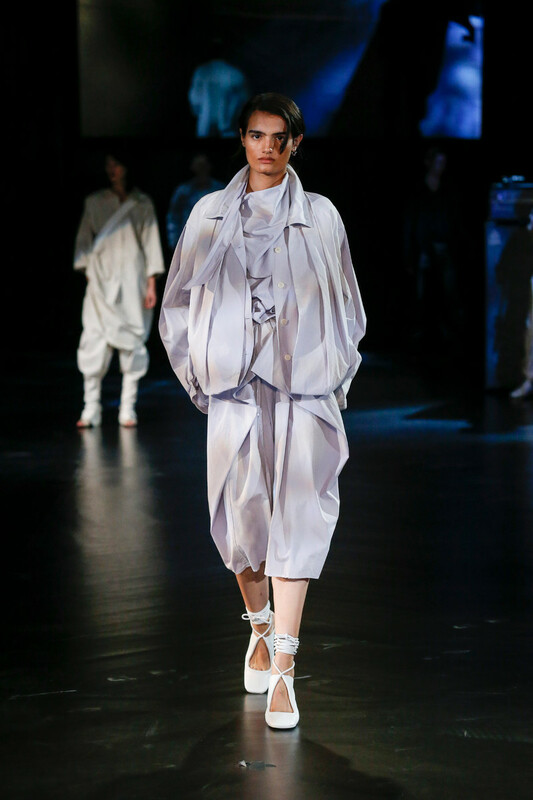 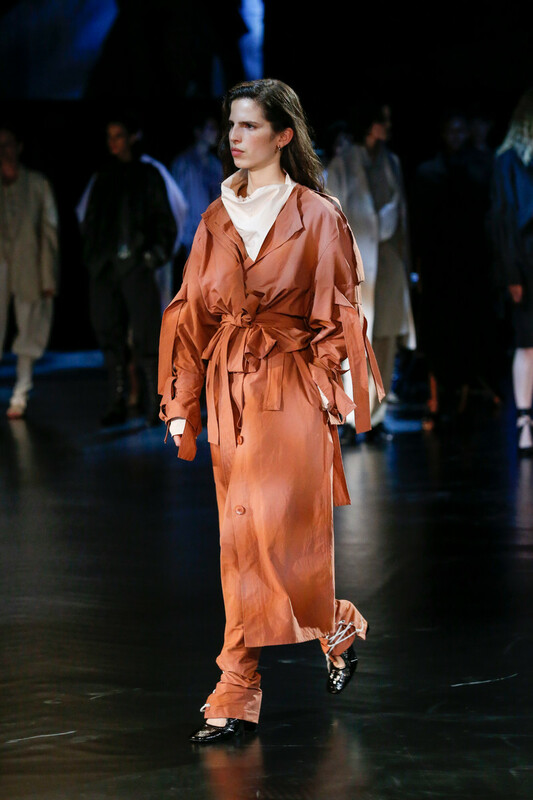 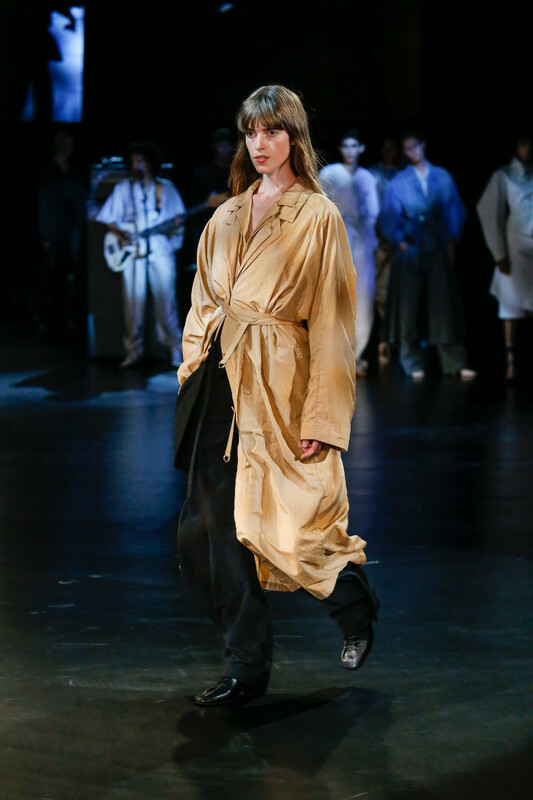 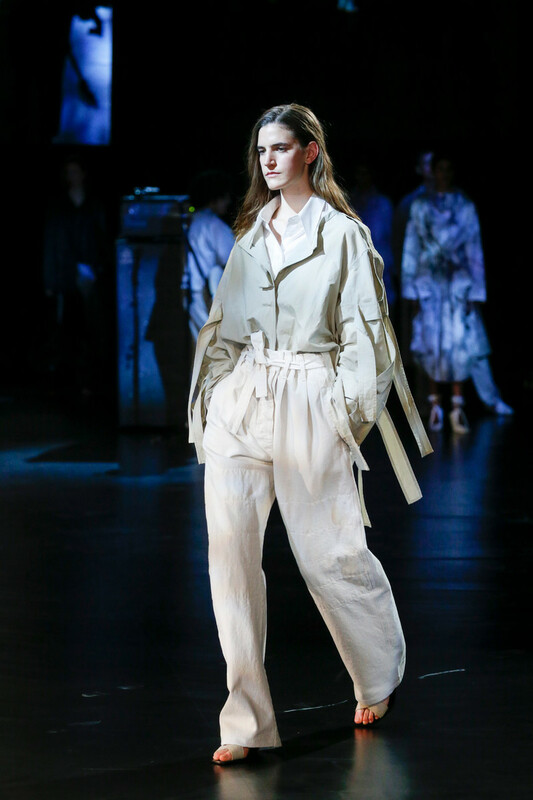 Lots of monochrome layering, lots of fabric and straps around cuffs, waist and ankles gave the collection a utility touch. 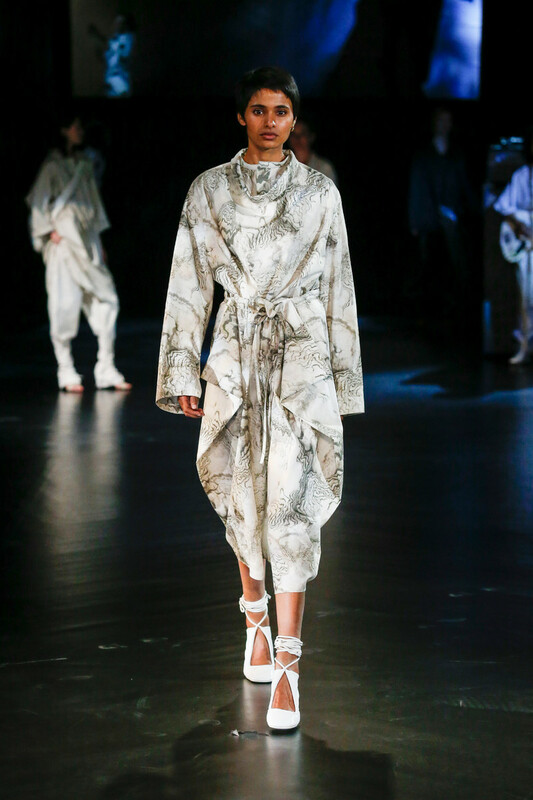 Black paint spatters formed a print on a few of the white looks. 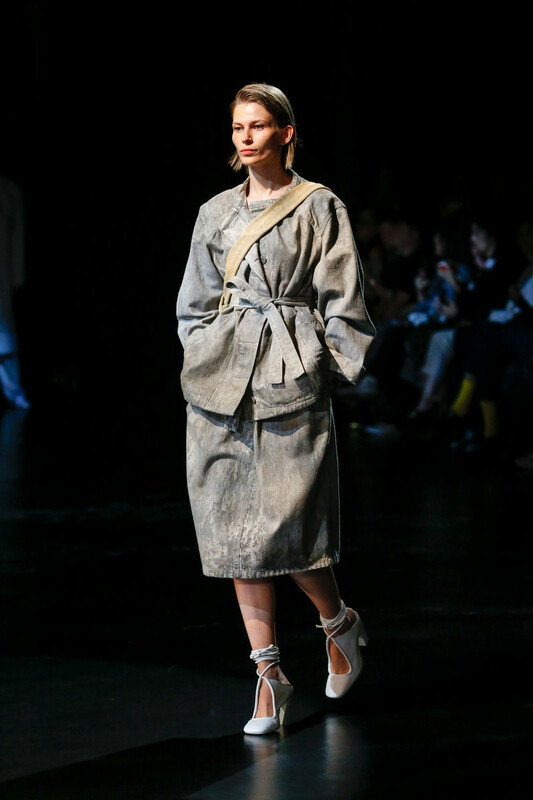 A pastel yellow dress/coat looked as desirable as it looked comfy. 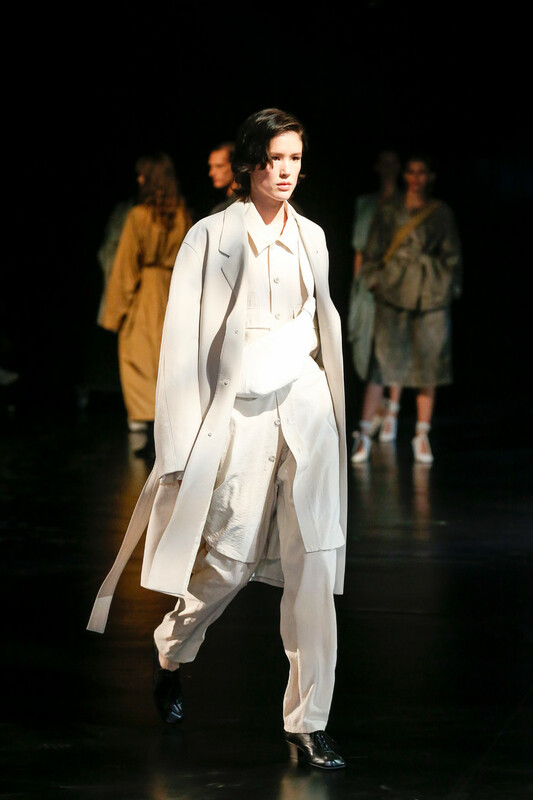 Lace-up details at calf length added a slight touch of sexiness to the everyday looks. 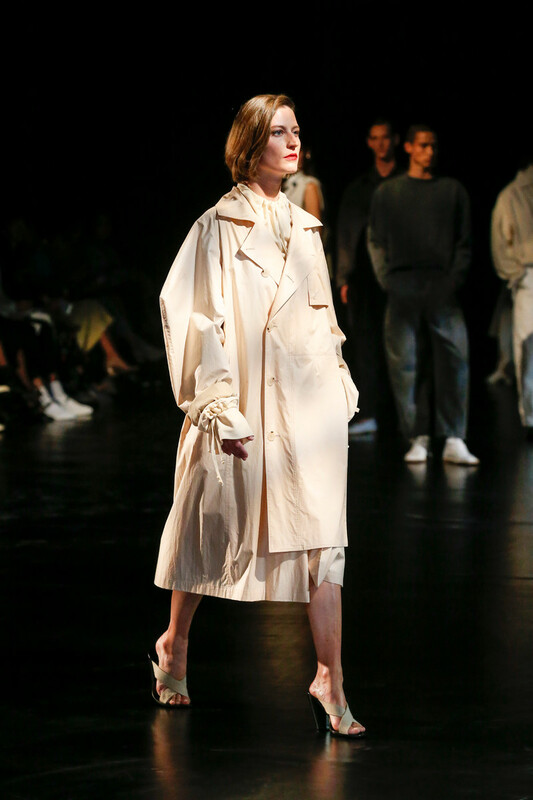 For next season Christophe Lemaire and Sarah-Linh Tran might try to excite us just a little more. 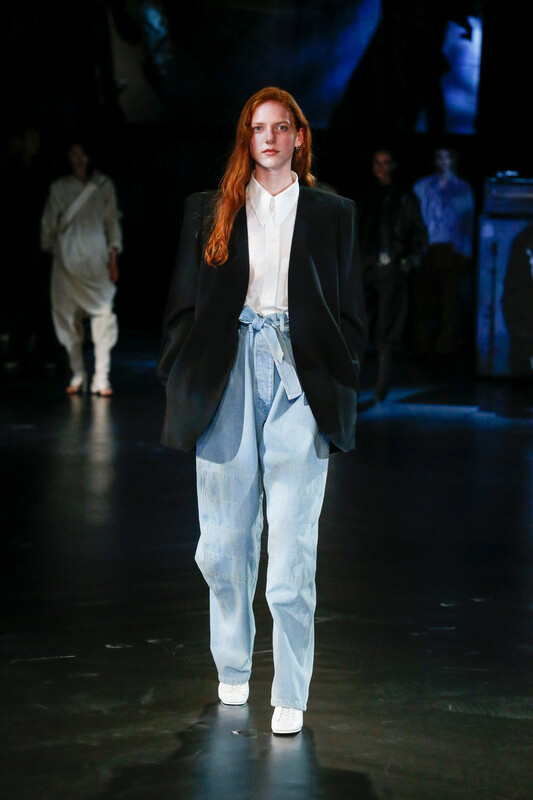 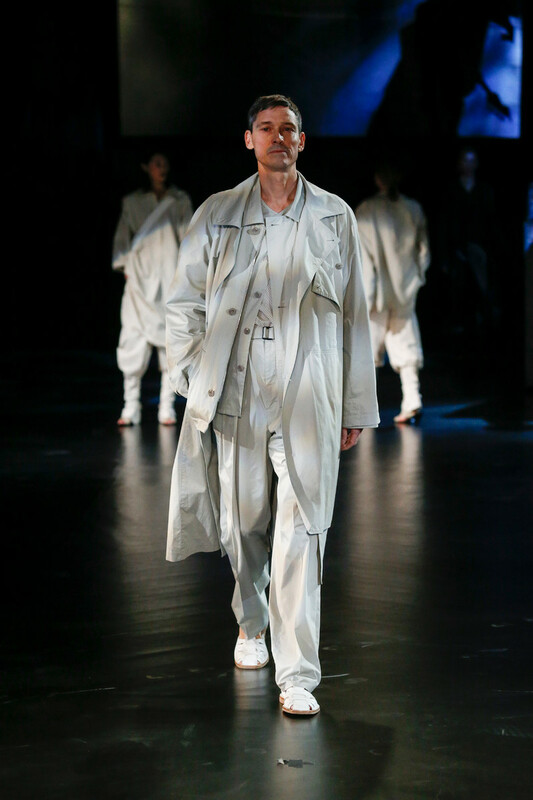 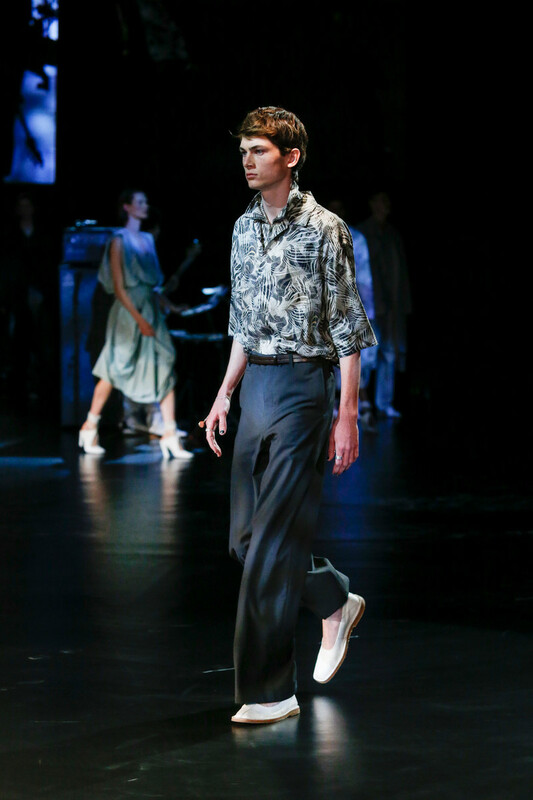 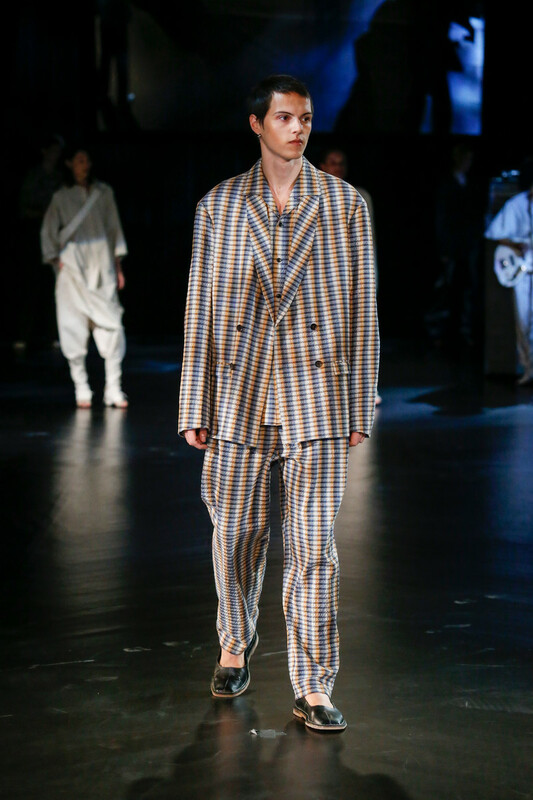 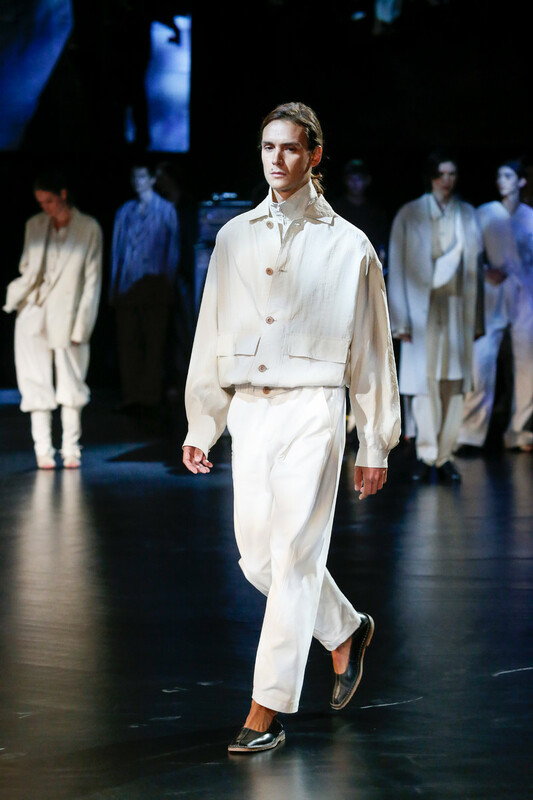 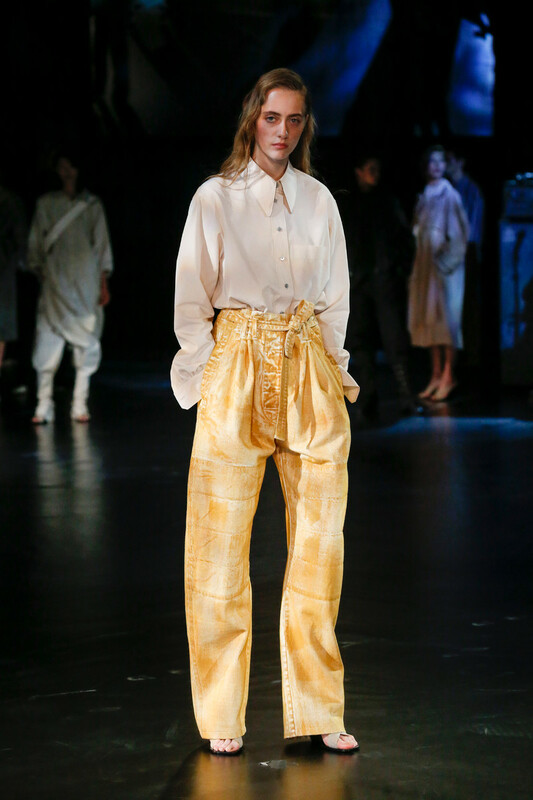 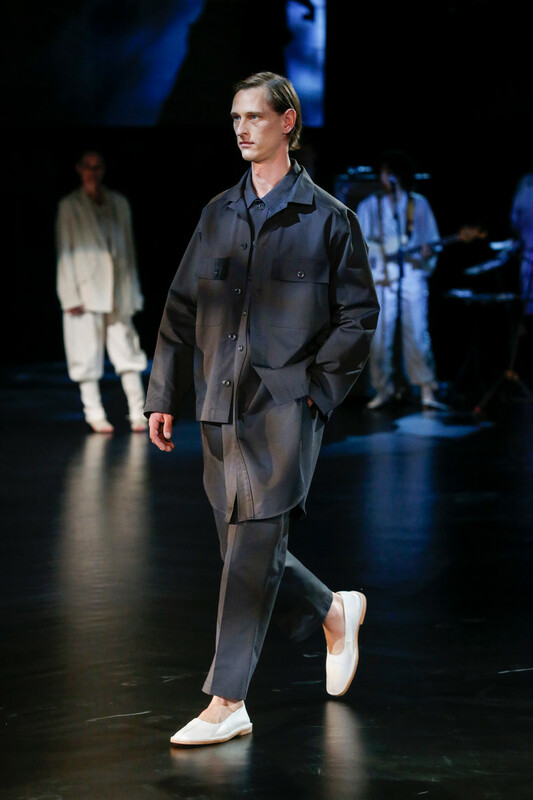 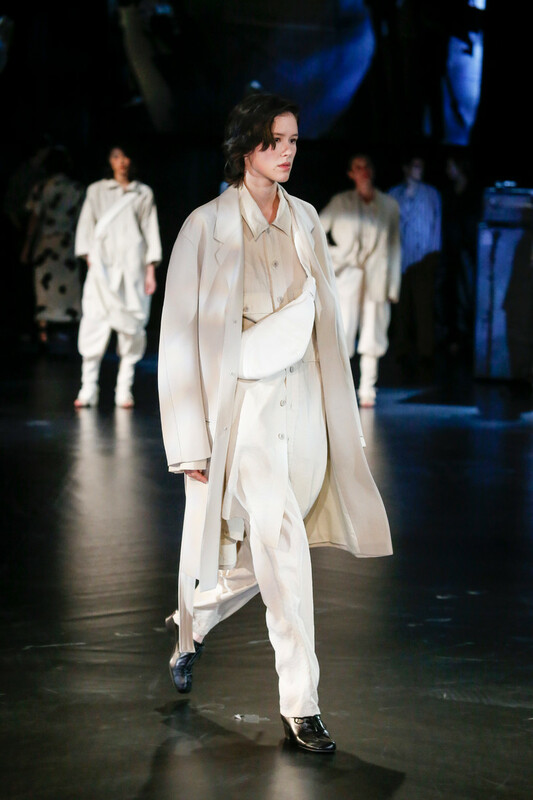 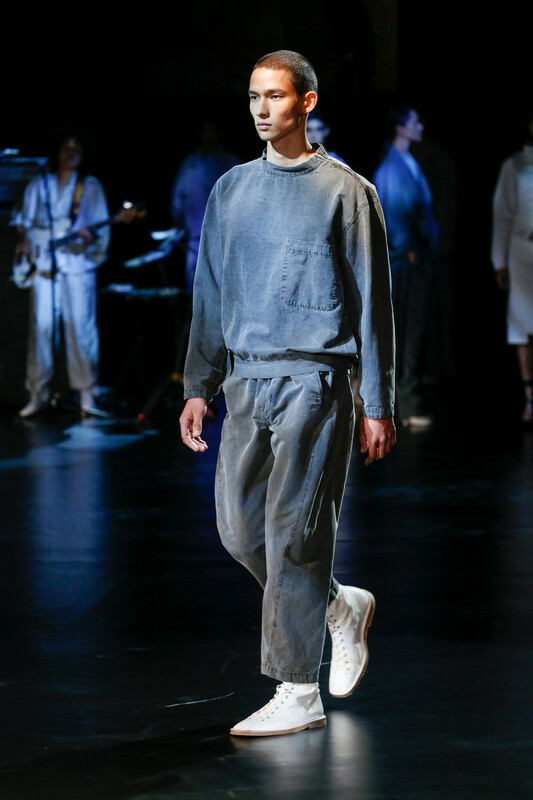 They need to convince us it’s Lemaire and only Leimaire who can hook us up with monochrome overalls, stains spot polka dot prints and lace up trousers.